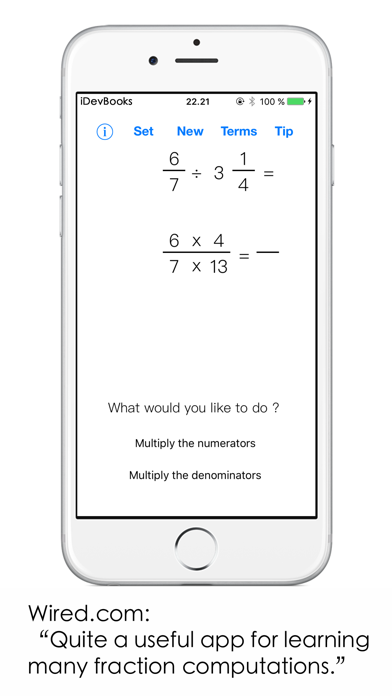 The Fraction Math app can be used to teach and study fractions by solving addition, subtraction, division and multiplication problems with fractions step by step. 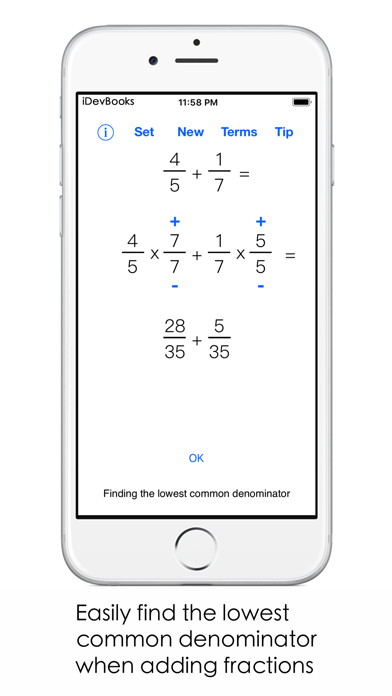 Wired.com: "Quite a useful app for learning many fraction computations." 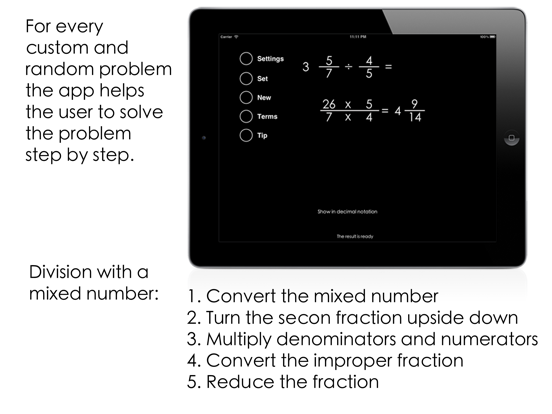 The Fraction Math app can handle positive and negative fractions, improper fractions, whole numbers and mixed numbers. The user can also reduce the resulting fractions. 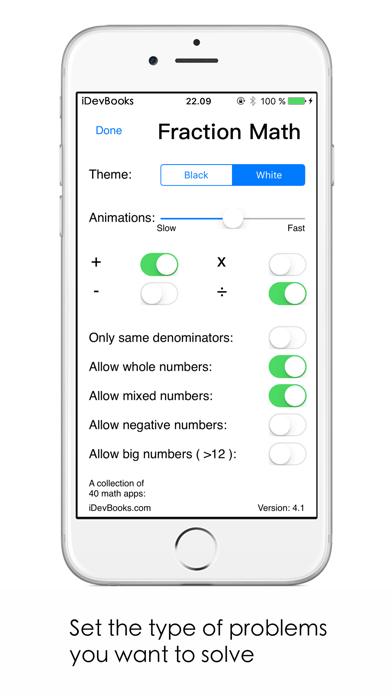 The user can input his/her own fractions, mixed numbers, and whole numbers. The app has also an illustrated glossary of the most common terms. 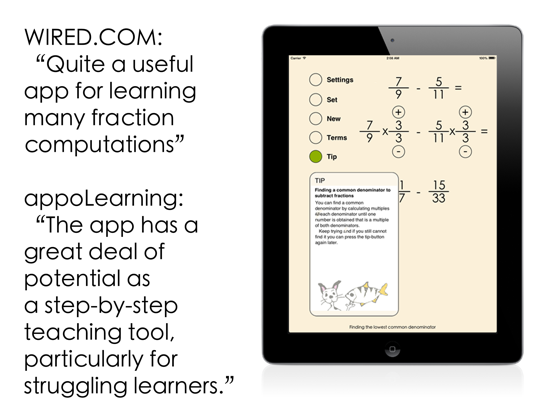 "Quite a useful app for learning many fraction computations." 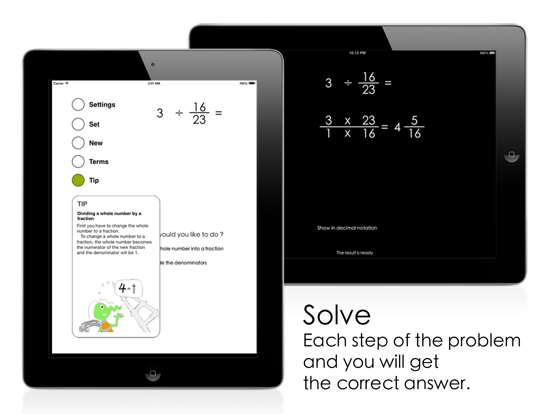 "Fraction Math app is easy to use and really takes you step by step when adding, subtracting or multiplying fractions." A sixth or higher-grade student can use negative fractions, whole numbers and mixed numbers in the problems. She can also use larger numbers. The above grades and their uses of the app are only provided as examples. In those cases when there is only one possible next step, the user can choose between the right step and a random wrong step. 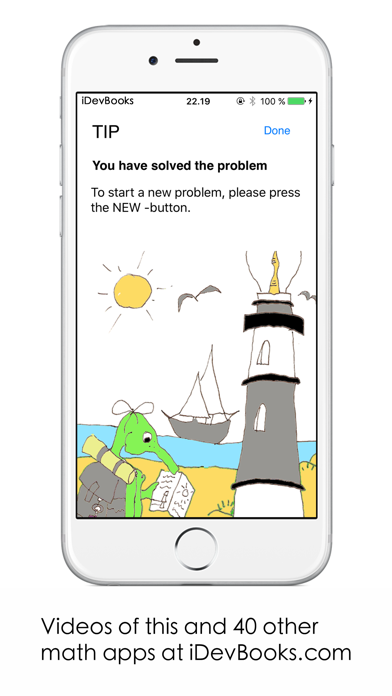 For wrong steps, the app will tell, why that is the wrong step. 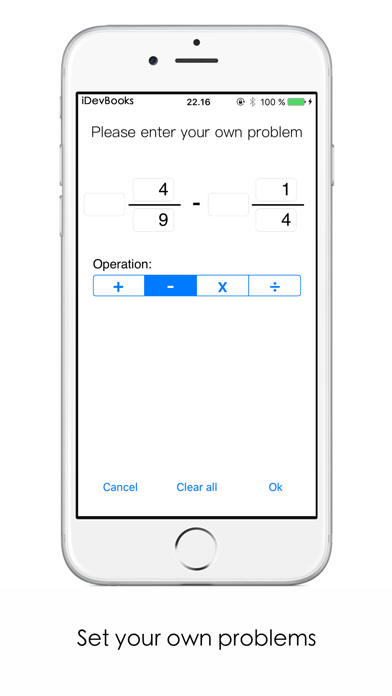 The Fraction Math app has a help system that provides over 60 context sensitive tips based on the state of the app. For example, when searching for a lowest common denominator, the help system will first tell how to search for the answer. If, after trying herself the user cannot find the answer, the help system will tell her what the lowest common denominator is. 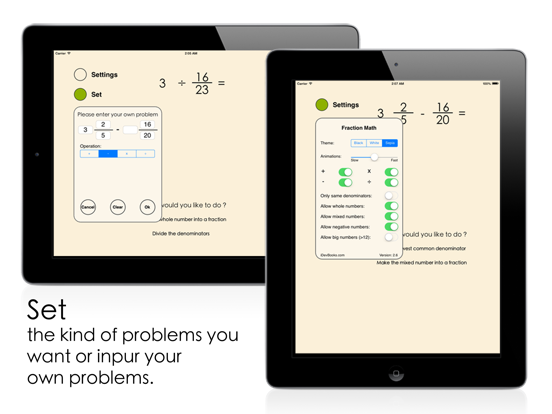 When the user has to enter numbers, the Fraction Math app uses the same intuitive smart rolling keyboard as my other apps. Only one tap is needed to enter any number. In reducing fractions, a special prime number keyboard is shown. Every step in solving the problems is animated. The speed of the animations can be set and they can also be turned off. The 60 different tips have a lot of information about fractions, mixed numbers, improper fractions and reduction of fractions. The tips have over 50 illustrations to keep the user interested in reading the tips. 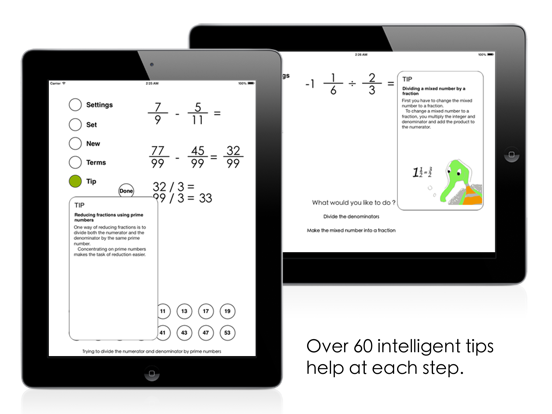 Some of the other 40 iDevBooks math apps are Column Addition, Long Multiplication, Long Division, Column Subtraction, Lattice Multiplication, Visual Multiplication Table, Partial Differences Subtraction, Partial Quotients Division, Partial Sums Addition, Decimal Rounding, etc.